Evidence-based and yet very practical, Equine Thermography in Practice discusses how to use the tool in the diagnosis of equine musculoskeletal injuries and what the user can expect to see in normal versus injured horses giving guidelines for best practice. 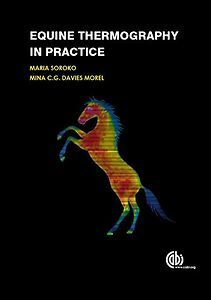 The book builds from basics covering the principles of thermography and then its applications in equine veterinary medicine and the role of the technique regarding the equestrian athlete as well as in rehabilitation. Extensively illustrated and thoroughly referenced, this book is indispensable to novice and experienced practitioners using the technique, including: equine veterinarians and equine physiotherapists and body work practitioners.